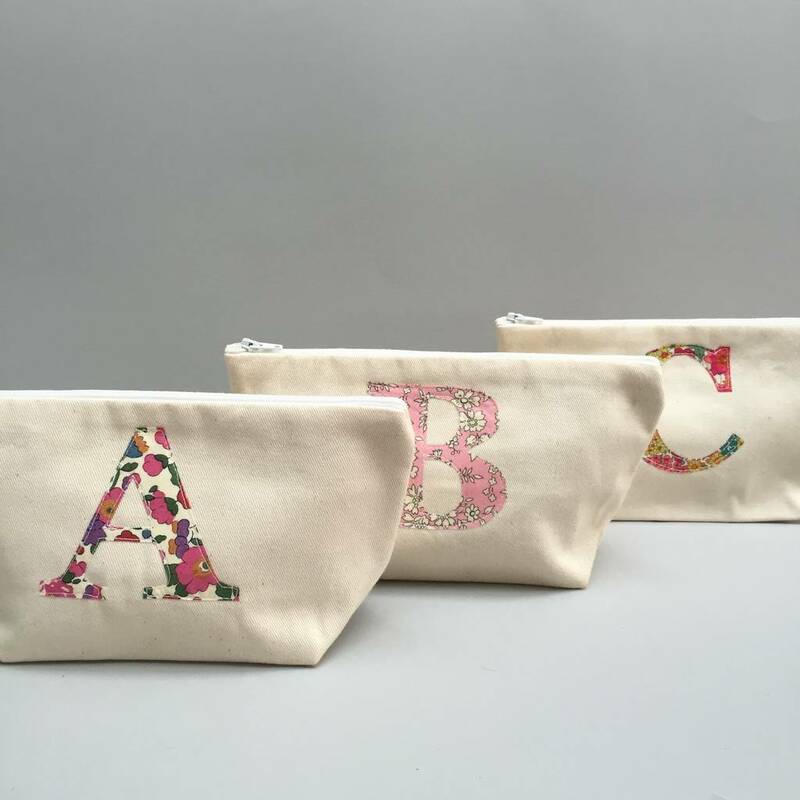 Our Liberty Print Personalised Applique Make Up/ Wash Bags are handmade individually in canvas and Liberty Print in our London Studio. In 100% Cotton canvas with a contrasting cotton pink lining they make a stylish accessory and a beautiful personalised gift for any girlfriend, mum, aunt or daughter. Also a great personalised gift for Bridesmaids or Hen Parties. 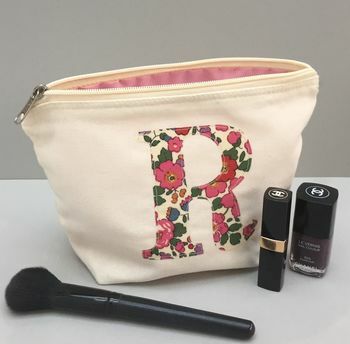 Perfect for carrying make-up/ toiletries or any small accessories, it is compact and small enough to fit into a handbag - stylish and practical. 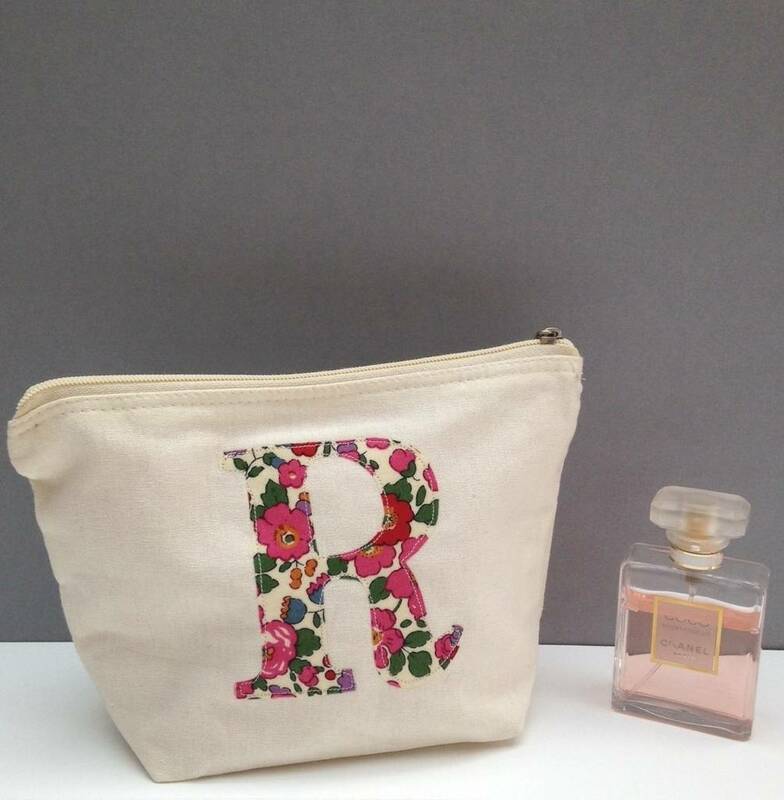 Available as a make up bag, wash bag or a set of both. We can make this in an initial of your choice in one of three Classic Tana Lawn Liberty prints (see thumb nail photo) choose from the drop down menu. 100% Cotton canvas, 100% Cotton Liberty Print Tana Lawn Applique, Cotton Lining, Spot Clean/Hand Wash.
Make up Bag approximately 21cm wide at top, 12cm tall and 13.5cm x 8cm at the base. Wash Bag approximately 27cm wide, 19cm tall, 18cm x 9cm at the base.